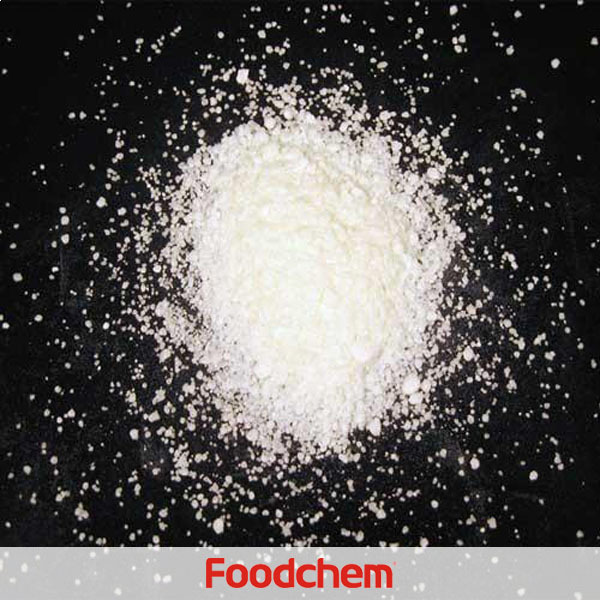 Sodium Stearate is one of the popular food additives and ingredients in most countries, As a professional Sodium Stearate supplier and manufacturer, Foodchem International Corporation has been supplying and exporting Sodium Stearate from China for almost 10 years, please be assured to buy Sodium Stearate at Foodchem. Any inquiries and problems please feel free to send emails to us via sales@foodchem.cn, we will reply you within 1 working day. Sodium stearate is the sodium salt of stearic acid. This white solid is the most common soap. It is found in many types of solid deodorants, rubbers, latex paints, and inks. It is also a component of some food additives and food flavorings.Characteristic of soaps, sodium stearate has both hydrophilic and hydrophobic parts, the carboxylate and the long hydrocarbon chain, respectively. These two chemically different components induce the formation of micelles, which present the hydrophilic heads outwards and their hydrophobic (hydrocarbon) tails inwards, providing a lipophilic environment for hydrophobic compounds.The tail part dissolves the grease (or) dirt and forms the micelle. It is also used in the pharmaceutical industry as a surfactant to aid the solubility of hydrophobic compounds in the production of various mouth foams. 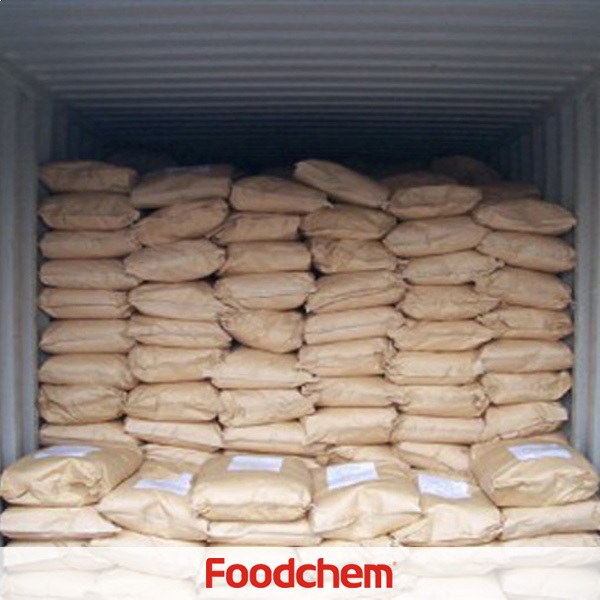 Foodchem is an ISO2008 9001 certified company, as for Sodium Stearate, we can offer HAPPC, KOSHER, HALAL Certificates, ect. 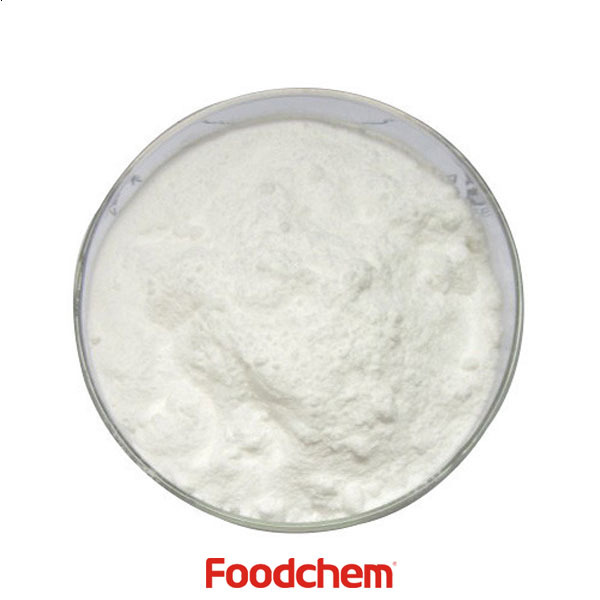 Foodchem is both manufacturer and trading company, we are Sodium Stearate distributor, at the same time, we are manufacturer of other products. 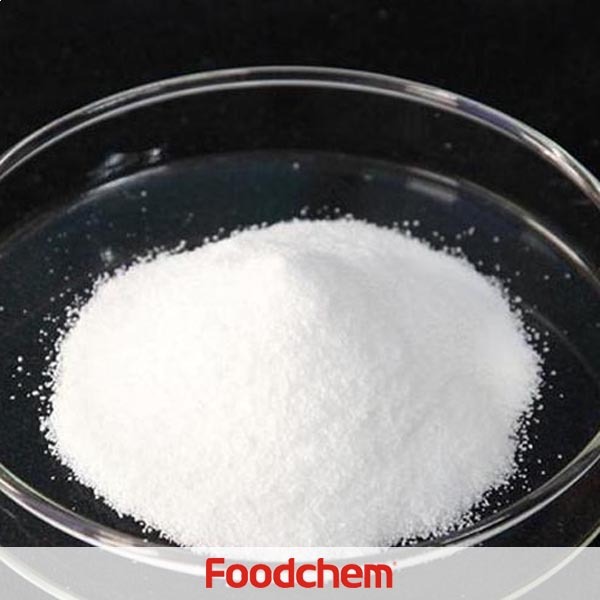 Foodchem is a famous supplier and manufacturer of Sodium Stearate in China, and has been corporate with many Sodium Stearate suppliers for several years, we can provide you with cost-effective Sodium Stearate. Gary ChoongQ : Hello,we are interested in your Sodium Stearate for our blending project. Can you provide us more information such as product specs, COA & etc about this product? 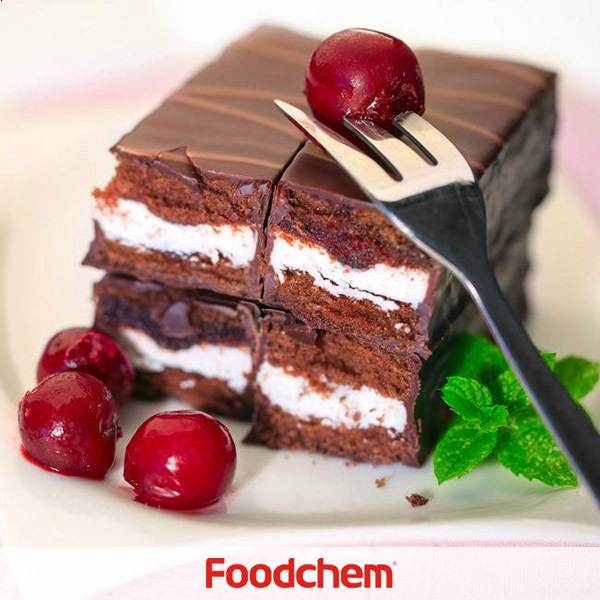 FOODCHEM A : Thanks for your inquiry, our sales manager has send you product specs,coa and other info,please kindly check your email,if you have any other question, please feel free to contact us. Jennifer Heimall Q : Is your Sodium Stearate food grade? Does your company manufacture or export? 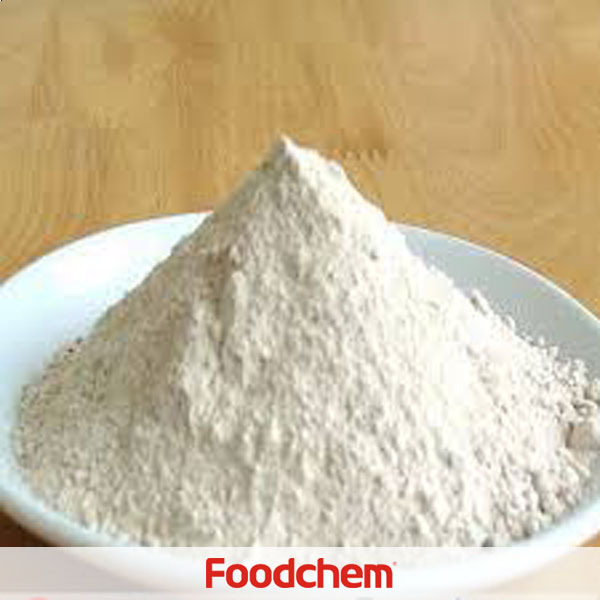 FOODCHEM A : Yes,we have sodium stearate food grade ,and we are a trader who has been exported food ingredients and additives for more than 8 years to customers all over the world.